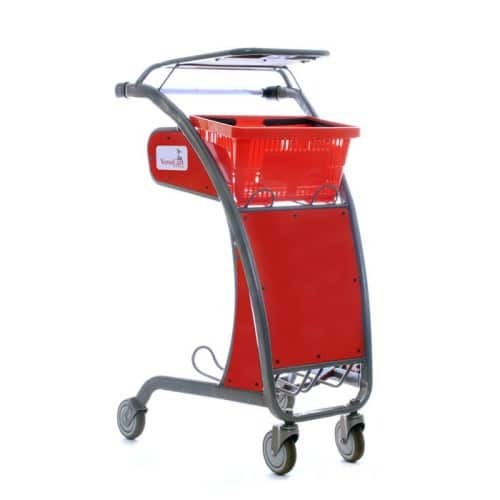 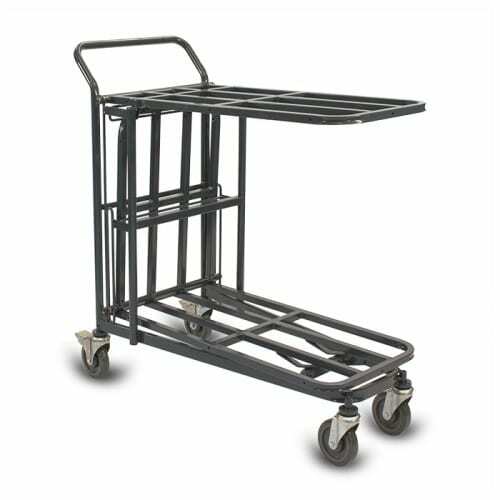 The 33R is an incredibly versatile stocking cart that nests, saving you space in your back room. 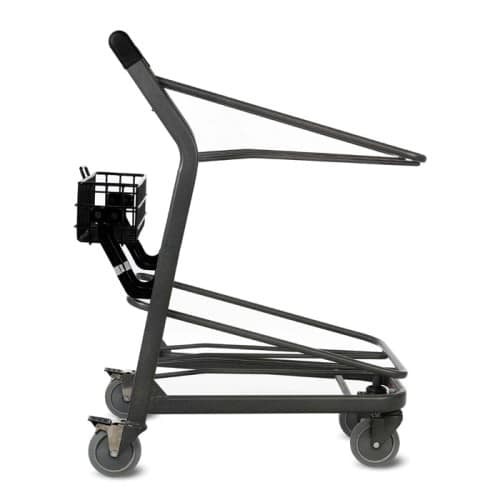 Replaceable top covers mean you don't have to replace the whole cart. Shelves retract to carry large, bulky items. 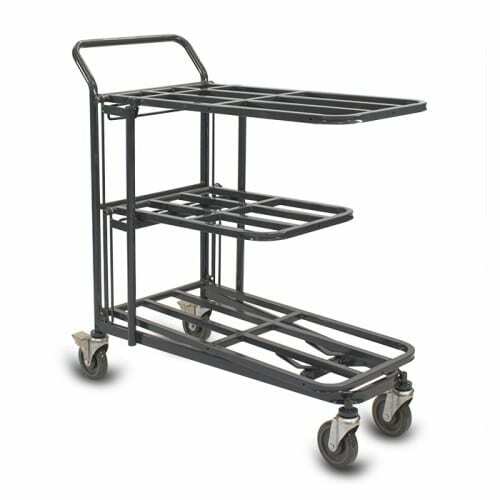 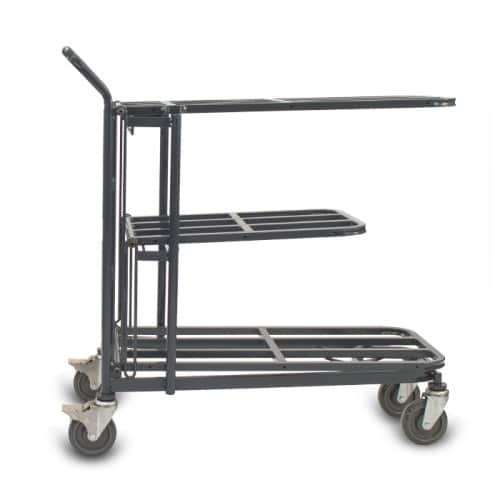 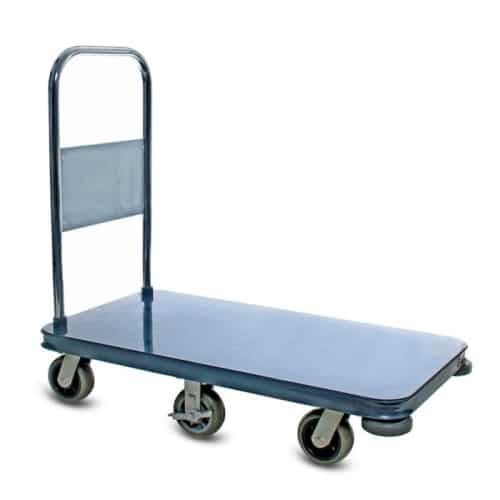 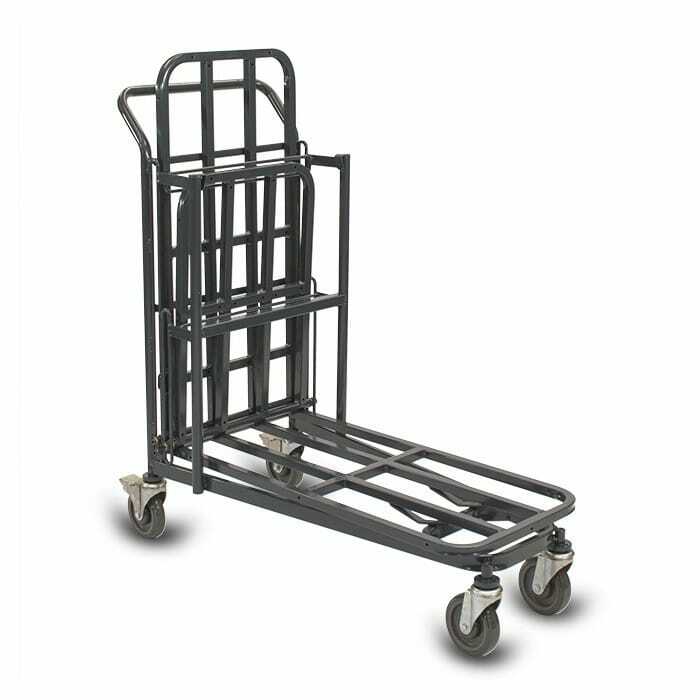 The 33R Retractable nesting utility cart is one of our newest designs. 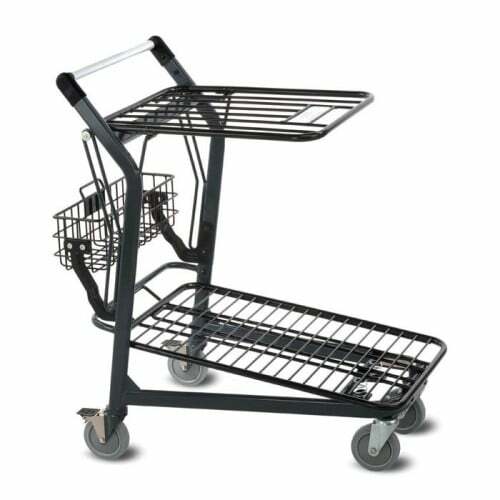 We designed this cart to replace inefficient and space-eating stocking carts that crowd back rooms and are eye-sores on the store floor. 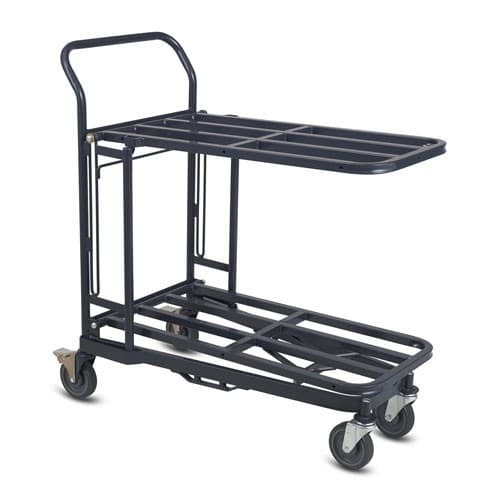 These are all in the past now with the 33R retractable nesting utility cart. 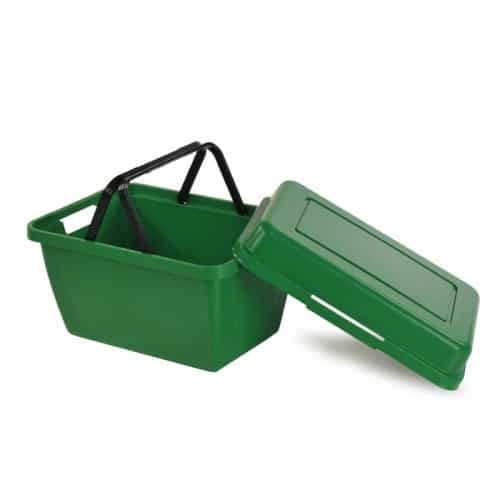 It has a slim design to fit easily through aisles of most sizes and incredible 9.45 inch nesting so it takes up less space in your back room when it is not in use. 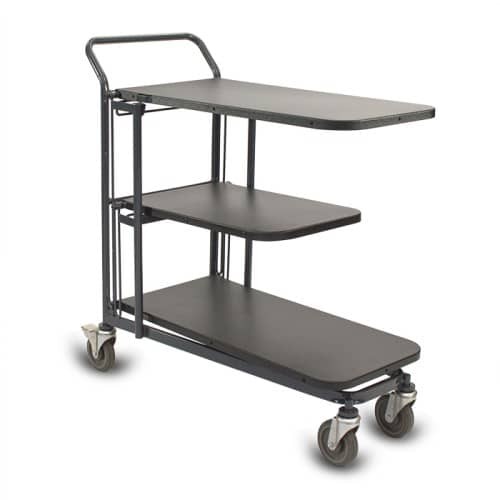 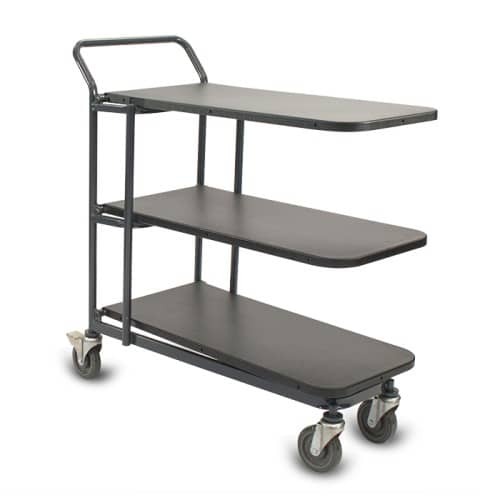 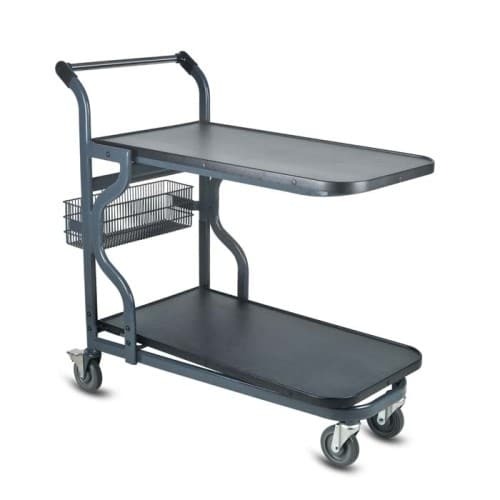 The 33R’s retractable shelves allow this utility cart to be incredibly versatile. 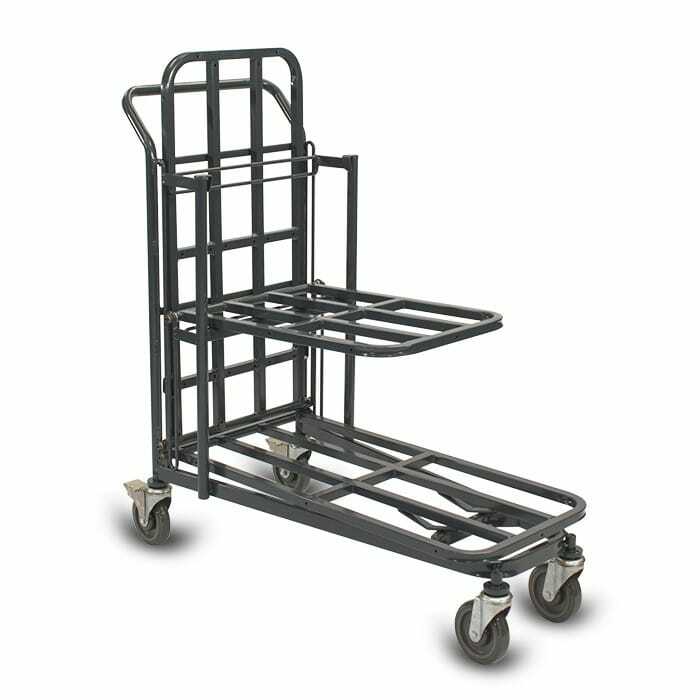 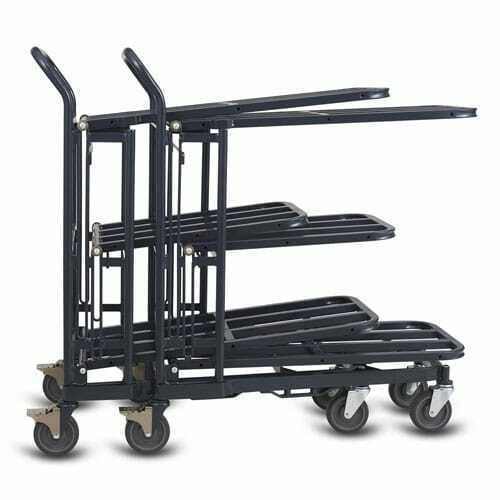 The shelves fold away in different configurations giving you the space to haul tall and bulky items or several layers of smaller boxes, all in one cart!